Local, Nationwide or Continental; House, Office, Stock...Anything! ...at very low prices! 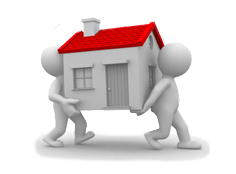 Jafvans Removals are used to dealing with any type of domestic house removal. 2nd floor flat or a five bedroom house, we can provide you with a service that will not cost you an arm and a leg! For house removals, we would normally provide you with a luton box van with tail lift and two men – the only thing you have to take care of is the packing. Of course, if you have plenty of helpers and if you would prefer to have only one man with van, we can provide you with that too. As our charges are based on a hourly rate, cheapest house removals are always in West London area – especially in a 10 mile radius from our office in South Harrow. 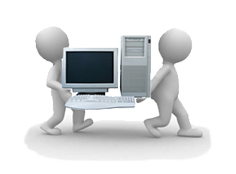 Are you in the need of someone to help you move lots of boxes or office equipment from one office to another? Or, you just simply are relocating the whole office to another address….. Jafvans Removals can help, not just in doing the job quickly and efficiently, but in keeping the cost down with our low cost van and man service! Jafvans Removals have done many office relocations in London Boroughs of Harrow, Hillingdon, Brent and Ealing. Our efficient service of a van with driver or van with driver and a mate is your cost effective solution to re-locate your business premises. Our drivers are honest & hard working and our prices very competitive. 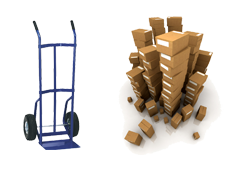 We can also provide you with a working driver to move your stock from the warehouse or to help you transport your goods to any destination. Or, you might just need some help with heavy items! As our charges are based on time you’re using our service, our advice is that you are packed and ready to go BEFORE we arrive, so the men can start loading the van as soon as possible. Prices are based on a round trip from our office in South Harrow – from the time we leave the office until the time we come back. Service is available Monday to Friday ONLY. Our Man and a Van service covers all areas in West London and beyond! As a family run business since 1959, we have become a household name in Harrow, Hillingdon, Uxbridge, Ruislip and other nearby towns. Here at Jafvans Removals, we have a saying "No Job Too Small!". In other words, no matter what your requirements are, we will do whatever we can to fit you in, help and provide you with first class service! As we are based in Harrow and our prices are based on hourly charge, most of the jobs we end up completing are in Harrow and neighbouring towns. However, we will be happy to provide you with a van with the driver service in any part of Greater London, Middlesex, Hertfordshire, Buckinghamshire, Berkshire, Surrey or Essex. After getting a quote from us, you will need to either phone us or email us to make a booking. We normally start as early as 8am, although it’s good to bear in mind that it’s best to avoid rush hour. Our driver(s) will leave the office at the agreed time and will be equipped with wheel trolley and on request, ropes/ties and dust sheets or blankets to cover valuable goods in transport. As our charges are based on time you’re using our service, our advice is that you are packed and ready to go BEFORE we arrive, so the guys can start loading the van as soon as possible. PLEASE NOTE: Even though we have other offices in Pinner and Ruislip, the job is always priced up on a return trip from our South Harrow office. Highly Competitive Prices from reputable company!